It’s not so often that the ending of a book has annoyed me this much. Usually if I don’t like a book, but don’t hate it enough to make me want to put it down instantly, I’ll continue till the end. The ending is most often the best part of the book, and it will give satisfaction once it’s all over. Nothing like that for The Rose Throne. That’s seriously one of the most unsatisfactory endings I have ever seen. Ailsbeth and Marissa are both princesses, but their worlds couldn’t be different. Each belonging to one country, both countries separated by the sea and only connected by one bridge. Ailsbeth lives in a dangerous court with an insane king leading it, and she’s born with the wrong kind of magic, the male kind. Marissa has a loving father and her country is peaceful, but since her mother passed away she has responsibilities fit for a queen. Their lives are bound together by a prophecy – one day their lands will be one. I don’t know what this book was going for. Bitter-sweet romance? Political intruige? Fantasy dystopian? I see traces of all of these, but none of them is completely fleshed out. 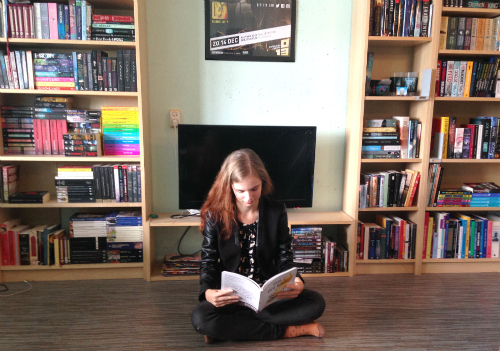 The characters, the events… All of them are told in the same lack-lustre manner that kept me from connecting with any of them. The world Ms Harrison creates is interesting, but lacks depth. I suspect she’s holding out on details so she can throw them at us in later instalments of the series, but for me this doesn’t work. There is a serious lack of explanations going on. From the start of the story you are thrown into a world with weyr, unweyrs, taweyr, neweyr and Weirwood. I don’t know about you, but from this I kind of pictured weyr to be a kind of tree. It took me quite a while to figure out that weyr is a kind of magic, because nowhere it is explained. Taweyr is the male, destruction kind of magic, and neweyr is the nature-y female kind of magic. Well colour me surprised, the females have nursing magic and males war magic? Baw-ring. There is also a third kind, ekhono who have the wrong kind of magic. Throughout the book almost all the characters talk about is the fate of the kingdoms, of what will happen and how everyone is in danger. Well, at the end of the book NOTHING is different than there is at the start. Why would you make us worry so much about something you aren’t even going to use? The characters are inconsistent and confused, one moment they are childish or selfish, the other moment they go on and on about their duty towards their country, sometimes even in the same paragraph. I think The Rose Throne is going for a kind of gruesome princess-story, because there are dozens of executions and poisonings. Almost every few chapters someone’s dying, and she even kills off some main characters effortlessly. I get that you don’t want your story to be like a fairy-tale, but this went a bit out of bounds. You can’t make us feel for a character, than kill him off towards the end without any drama surrounding it. There is no emotional shock, only a confused “…huh?”. It might work for GRR Martin, but I don’t think it worked in The Rose Throne. This is not a book I will remember fondly, not an author I’ll read again. 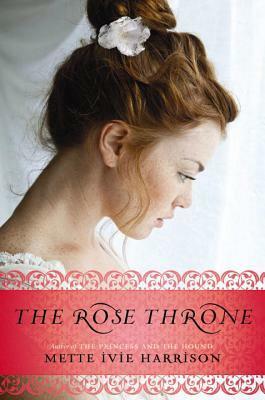 I only recommend The Rose Throne if you have the rest of the series nearby, because on its own it’s not a satisfying read. Ailsbet loves nothing more than music; tall and red-haired, she’s impatient with the artifice and ceremony of her father’s court. Marissa adores the world of her island home and feels she has much to offer when she finally inherits the throne from her wise, good-tempered father. The trouble is that neither princess has the power–or the magic–to rule alone, and if the kingdoms can be united, which princess will end up ruling the joint land? For both, the only goal would seem to be a strategic marriage to a man who can bring his own brand of power to the throne. But will either girl be able to marry for love? And can either of these two princesses, rivals though they have never met, afford to let the other live?